Will Jeb Bush have a corn problem? In his Iowa debut, former Florida Gov. 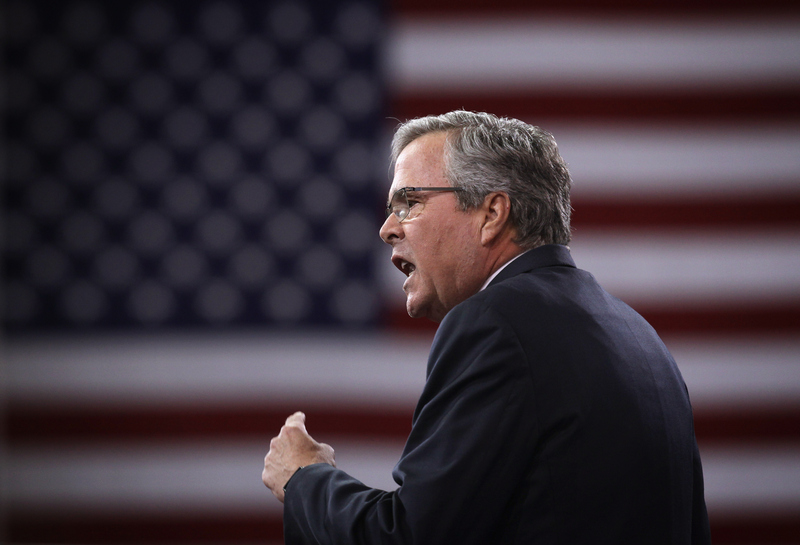 Jeb Bush might have distanced himself from members of the Iowa caucus with his stance on the Renewable Fuel Standard (RFS), a government program that promotes the use of ethanol. "I would suggest to you that, ultimately, whether it's ethanol or any other alternative fuel, renewable or otherwise, the market's ultimately going to have to decide this," the likely 2016 presidential candidate said at this weekend's Iowa Ag Summit of backing the RFS. "It's really hard to make an investment decision that may take two or three years." "This idea that you're now, what, a year and a half, two, almost two years behind makes it impossible to make long-range investment decisions," Bush said in response to a question posed by summit host Bruce Rastetter. The in-the-weeds federal regulation, which requires adding corn-based ethanol and other biofuels into transportation fuel supplies, provides a large market for Iowa corn farmers and seemed to be the agriculture-focused conference's cause du jour. The site of the nation's first presidential caucuses, the state is pushing for a Republican nominee that will commit to the EPA fuel standard, an issue that could draw the ire of the Iowa base. Iowa Gov. Terry Branstad even warned that it was a significant issue for potential 2016 GOP candidates. "If you are for closing that industry down and don't want to give them access [to the market], I think that could be a very difficult thing to explain to the people who live in the state and really believe in renewable fuels," Branstad told the Washington Times ahead of the summit. But in his first Iowa foray, Bush pointed to market forces that could mitigate the use of the fuel standard in the long run. "At some point, we'll see a reduction of the RFS need because ethanol will be such a valuable part of the energy feedstock for our country, " Bush said. "Whether that's 2022 or sometime in the future, I don't know." Another conservative that does not back the RFS, Texas Sen. Ted Cruz, said that he recognized the Iowa audience would like him to say "I'm for the RFS, darn it. That'd be the easy thing for me to do." Cruz is co-sponsoring legislation to repeal the renewable-fuel standard and received pushback from Rastetter about the decision during his own sit-down interview. And though he did not fully embrace the federal regulation for the future, Bush did agree that it had been a boon to the industry in previous years. "The law that was passed in 2007 has worked, for sure; look at the increase in production," Bush said. "It has been a benefit to us as we've reduced our dependency on foreign sources of oil."